Conservative MP David Davies has said the problem of adult refugee ‘students’ is going to be fairly common because they have a “vested interest” in pretending to be young. This comes after reports of an Ipswich school boy accused of being a 30-year-old asylum seeker, allegedly told another pupil he's a married dad-of-two. The student is believed to have arrived in the UK from Iran without paperwork, but is reported to have told authorities he was 15. Mr Davies, MP for Monmouth told talkRADIO’s Mike Graham: “This is going to be a fairly common problem because you have got a lot of people with a vested interest in pretending to be younger than they are. “Some of them may not have an ‘evil motive’, they simply want to stay in the country and not be sent home. “If they claim to be under the age of 18, they have a much better chance. “The reality is that nobody dares to challenge them. “If you are a civil servant, or work for the local authority and you dare to suggest that somebody is lying about their age and you will find that your career comes to an end pretty quickly. “I think it was the Head of Immigration who pointed out that some of the people who were coming in from Calais were over the age of 18. Mr Davies said that he had faced “hysteria” after suggesting some asylum seekers lie about their ages. “I’ve been the victim of that kind of ridiculous hysteria for suggesting that some of the people are lying about their ages,” he said. “Howls from everyone; every single political party and most media outlets. “I have never had this before because I am a backbench MP. I was being chased around by angry journalists. 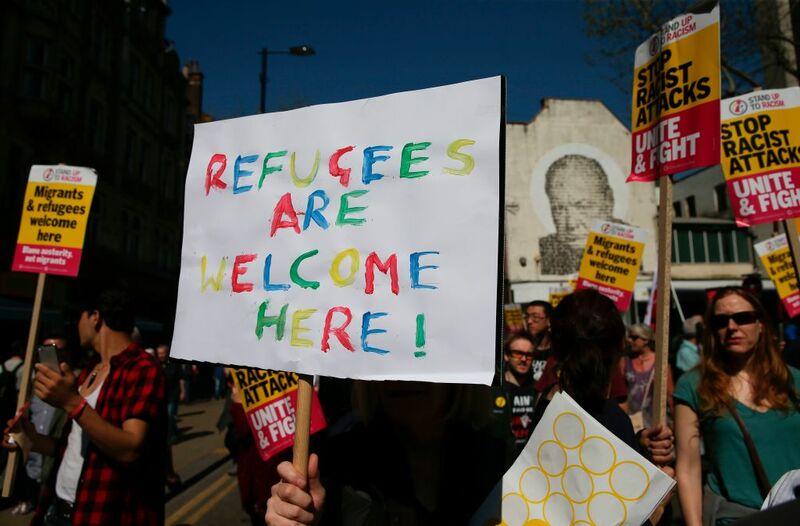 “The reality is that anyone who wants to go talk to people who work in asylum seeker centres, privately they will tell you this is happening. “They do it with a twinkle in their eyes because it is going to take months trying to check it out and challenge it. Sources at the Home Office confirmed that the investigation into the pupil at Stoke High School was being treated “seriously” and appealed for the pupil to be given privacy. In a statement, Stoke High School said: “This is a matter for the Home Office and we have referred it to them."